AFSA's Magazine Discount Program is offered exclusively to AFSA members. If you would like to receive a discount on subscriptions to any of the following magazines, please contact AFSA's Member Services for ordering details. AFSA Member Services: (202) 944-5525 or by email at member@afsa.org. "The Atlantic covers news and analysis on politics, business, culture, technology, national, international and life." "The Economist online offers authoritative insight and opinion on international news, politics, business, finance, science and technology." 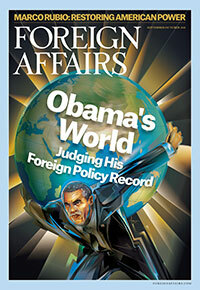 "FP is the award-winning, bi-monthly magazine of global politics, economics and ideas. Our mission is to explain how globalization is changing the way the world works - in particular, how the process of global integration is reshaping nations, institutions, cultures, and, more fundamentally, our daily lives. Rigorous and accessible, indomitable and irreverent, FP delivers the most provocative ideas and most relevant analyses of the powerful forces and trends reshaping the world today." "The articles in Foreign Affairs will deal with questions of international interest today. They will cover a broad range of subjects, not only political but historical and economic, and they will be accompanied, when it is desirable, by maps and diagrams." "The Georgetown Journal of International Affairs is unique: a student-run publication that manages to feature original, over-the-horizon thinking by some of the world’s leading policymakers, analysts, and intellectuals. Thematically rich, analytically rigorous, and beautifully produced, the journal is a real stand-out among public policy periodicals."